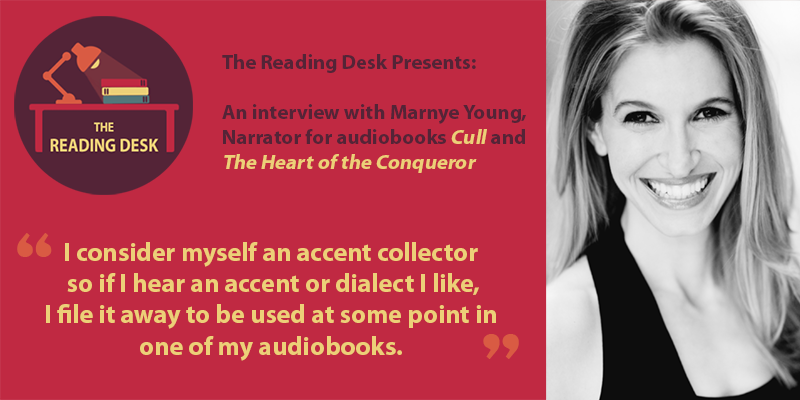 Marnye Young is a multi-award-winning narrator for New York Times and USA Today bestselling authors. A SAG-AFTRA voice, stage, and screen actor, she has spent her life in the South, Midwest, and North. Having performed in Romania, Sweden, Scotland, New York City, and elsewhere, she has been praised for her impeccable comic timing as well as her ability to make you cry. She has also been called an "accent guru." When she isn't narrating, she's podcasting, writing a self-deprecating comical blog about her identical twins, fishing, following NASCAR, volunteering (CRIS radio, TIC and Learning Ally), running a small play-reading group in NYC, raising chickens, and of course "mom"ing. Her favorite literary character is Sherlock Holmes. She would like to thank everyone who made it possible for her to be where she is today. Peter: I had the pleasure of listening to the audiobook The Cull: Bloodline by Eric Gates, which you narrated. It was the first audiobook I’ve listened to and it certainly converted me to that medium. It’s been a pleasure chatting with you beforehand and I appreciate you taking the time to conduct this interview. Peter: What was your background that enabled or encouraged you into the role of narrating books? 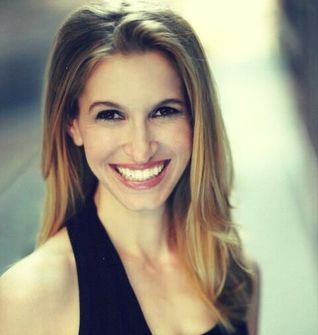 Marnye: I am an MFA Yale Grad and a stage and screen artist. I have been doing theatre since I was in 1st grade when I played a Care Bear so the ability to “storytell” is second nature to me and that is what narrators do. We tell stories. Peter: As a narrator do you regularly practise different accents or do you just focus on the accents required on a project by project basis? Marnye: I mostly focus on accents on a project by project basis. However, I consider myself an accent collector so if I hear an accent or dialect I like I file it away to be used at some point in one of my audiobooks. Peter: Do you have a library or go-to source of accent recordings, both from other people and yourself, to help lay down a benchmark for each character? Marnye: I mostly binge Netflix especially BBC. I also use Youtube as well as IDEA (International Dialects of English Archive) which has thousands of samples of dialects all across the globe. And I have my own samples from books I have done as well as paper notes that I can look back on and see how I was able to do that particular dialect or accent. In fact, I just pulled a dialect from another audiobook to use for one I am currently recording because it is not specified and that one just seems to fit. I made some modifications to keep it character-specific and it works well. Peter: Do you have outtakes of accents that didn’t quite work? Marnye: Oh my goodness yes. I wouldn’t dare share some of the horribleness awfulness nonsensical gibberish that has come from my mouth. I will stop and say to myself what the heck was that and then start over. Peter: We had a bit of a joke about this, but do you find the Irish, Cork accent easy to mimic and have you kissed the Blarney Stone in Cork? Marnye: Not really. It is a bit too quick for me but I know that like with most accents if I have some time with it I can get it. And sadly no I have never kissed the Blarney Stone. But that is now on my list!! I have been to Ireland and now I must go back. I am Irish after all 🙂 Scots-Irish that is. Peter: Do you ever feel that a character would say something a little different than what is written, and do you have the freedom to improvise or do you stick rigidly to the written word? Marnye: I do not deviate from the manuscript as it is sacred unless on the very rare occasions I am told otherwise. For instance, I had one client who said you have carte blanche to change what you need to make it work for you. And I will admit I changed a few things with regard to some dialogue which the author really liked. I think you hear things in audio that you don’t necessarily pick up on when reading it off the screen or on paper. Harrison Ford once told George Lucas something to the effect of you can write this but you can’t say it. So when something is spoken out loud it may not always come across the way it does on paper. But I would say about 99.99% of the time I speak it exactly as written. That is my job. Peter: Do you lay out a recording and accent plan for how you will approach the narration of a new book, with the timings, characters and narrative involved? Marnye: Definitely. As I am reading I am writing brief summaries for each chapter along with listing all the characters, and beside them, descriptions of them including what their dialects are according to the author and ideas for pacing and rhythm. I then figure out how much I need to get done each evening to be able to make the deadline with time to spare. Peter: How long do you typically spend in a recording session? What limits the time you will spend in a session and are you very disciplined in following your plan? Marnye: I can spend anywhere from 1.5 hours to 4 hours (but I am not recording for the whole 4 hours). I am limited however by what my voice will do. Some days my voice remains strong with a full two hours and other days it peters out after about 1 hour. It is tough because it is something you simply have no control over. Either I have a voice or I don’t and sometimes with lack of sleep, it can be a bit challenging. I am very disciplined about my plan because I have to be. I have clients and production companies counting on me to get things done in a timely manner. Peter: In a 300 page book (say 90,000 words) how long would that normally take to record and edit? Marnye: If I am doing it on my own I typically record about 9200-9300 words per hour so that is about 9.68 finished hours of audio. My ratio for the narration to editing is 1:3. So for every 1 hour of finished narration, it takes me 2 hours to edit sometimes more. The book you asked about would take me 29.04 hours in the studio. If I am farming it out which I almost always do now as I am just too busy (happily so) I can decrease that ratio to 1:2 so then it would take me 19.36 hours. Peter: I’m sure you have specialised equipment for this job. What would that include, apart from a cuddly bear and a work of art? Marnye: I have my MAC, my interface, and of course my microphone. But the 4-foot yellow Teddy Bear (Simon) and the gorgeous work of Art (my company Audio Sorceress LLC just won at auction ) “Love is my Strength” by Sngacame Dangez as well as pictures of my beautiful family are essential to my process as well. Marnye: I am not sure if I am allowed to say as I hope I still have clients tomorrow but it would have to be the book I just did for Tantor G. Lawrence’s The Heart of the Conqueror. Perhaps it has something to do with the fact that Matilda Flanders was my 27th great grandmother and she was the Queen of England. But actually, it is probably because Lawrence’s writing seems to be heavily influenced by Shakespeare. I mean it is all her own of course but that is how WONDERFUL her writing is and how I feel reading it-The same way I feel when I read Shakespeare. I think that is the highest compliment I could pay to an author. I told her I wanted to bathe in her writing. Silly I know but that is how passionate I am about it. Peter: What is your favourite book medium: electronic, paper or audio? What appeals to you about each medium? Marnye: I actually don’t have a favorite. I enjoy them all for different reasons. For all the driving I do audio is the way to go and I use it when I am running or doing tasks around the house. Paper is perfect for night time. I feel that I will never lose the pang of excitement that hits me as I open a paperback. There is something about the physical act of opening a book and turning the pages the smell of paper and the emotion all those things spark in me that cannot be replicated by an ebook reader. In fact, I still every now and then reach to turn the page when reading on an e-reader. Ereaders are my goto for the big books. The 1,000 page books like George RR Martin where carrying around his giant paperbacks is not practical. I need them all! Peter: What authors have you most admired and what is your favourite genre? Marnye: I adore Jane Austen, Sir Arthur Conan Doyle, Agatha Christie, David Baldacci, Ken Follett, Stephen King (I am actually narrating the Gunslinger right now for a volunteer project and loving it), Jim Butcher, George RR Martin and the list goes on. My favourite genre would have to be historical fiction. I have always had a heart for it and History was my second major in undergrad. I studied everything from Ancient Greek History to Irish History to Art History (another love of mine). Peter: Do you notice a difference between your engagements with published and Indie authors? Marnye: The only difference is the experience with a published author is far less personal. Perhaps because with a published author many times you are not actually working with them. You are working with someone on behalf of them. With indie authors, there is a real relationship that develops because you are almost always working directly with them. Peter: How much time do you spend promoting your work, compared to time devoted as a narrator? Marnye: Too much! LOL! Seriously I am a self-proclaimed social media hound as I am always wanting to make sure there is another job around the corner. I probably spend 1-2 hours a day marketing myself my clients and promoting people who I generally feel are awesome and deserve to be promoted. Peter: What websites do you feel are important to promote your work on? Marnye: My own website. LOL! I use all social media platforms, Facebook (I use my personal and my company page), Instagram, Twitter, LinkedIn (my personal and my company page) and even Google plus though that doesn’t really seem to have caught on the way the others have so I haven’t really kept up with that. Peter: Can you give us any insights into any future projects that you’re working on? Marnye: Absolutely! I am doing Jane Austen’s Pride and Prejudice that will be out this Christmas. Squeal! One of my absolute favorites of all time!! I am doing USA Today bestselling author Gail Cleare’s Destined which will be out in late Fall and that is in editing right now. I am also doing Aristophanes’s play Lysistrata which will be available soon. I am especially excited because I have been invited to a university to speak about it. I am wrapping up a charity project audiobook a zombie anthology called Bite Sized Offerings Tales and Legends of The Zombie Apocalypse. It is to help raise money for an incredible supermom who has a lot on her plate. There is an FB page for the project. Everyone involved in it (professional authors, narrators, artists, etc) has donated their time and artistry to help out this woman who has done so much for the indie author community. I am in production for the second book in G. Lawrence’s Lady of Flanders series entitled “The Forest and the Flames” as well as the continuation of Tate James’s Reverse Harem Paranormal Romance international bestselling Kit Harrington series. In addition, I will be continuing on with Eric J. Gates’s gripping award-winning thriller urban fantasy series The Cull and with bestselling author Caesar Rondina’s murder mystery Life Through a Mirror series. Marnye: The quickest way is to go to my website www.marnyeyoung.com. And as I said you can find me on pretty much any social media platform. Drop me a line. I would love to connect with you. 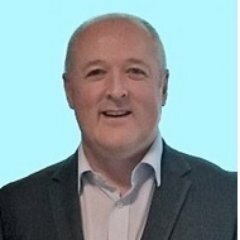 Peter: Marnye, I appreciate you taking the time to answer these questions and if there are other snippets of information you wish to provide, please feel free to add. You are very supportive and complimentary on social media, for which I would personally like to thank you. I would also like to congratulate you on your rapidly growing customer base. Marnye: Thank you so much, Peter and I am so happy that you reached out to me. It was an honor and a privilege to be interviewed by you.